The five-year contract for the FUSION programme – an innovation technology transfer programme – operates on an all-island basis. One of InterTradeIreland’s most successful initiatives to date, FUSION enables SMEs to employ science, engineering and technology graduates for a 12-18 month period to create and develop technologically innovative and commercially viable projects and services. The graduate benefits by gaining significant management experience and a fully funded Postgraduate Diploma in Business and Management. The company is also partnered with a third level institution to gain access to the specialist expertise they need, facilitating a three way cross-border partnership. The first contract was awarded to the Leadership Institute and Queen’s Management School in 2012 and since then the Institute has successfully delivered a PG Diploma in Business and Management for 250 PG students, accredited by Queen's Management School. From 2017, Queen's Management School and the Leadership Institute will offer an MSc in Business and Management giving alumni and any future participants in the InterTradeIreland FUSION programme the opportunity to upgrade their accreditation by undertaking a research dissertation. Thomas Hunter Magowan, Chief Executive of InterTradeIreland said: “InterTradeIreland recognises the business and economic contribution that graduates have and can continue to make in the future. FUSION brings graduates and industry together, with graduate’s skills delivering new creativity, new innovations and overall new ideas in a business. 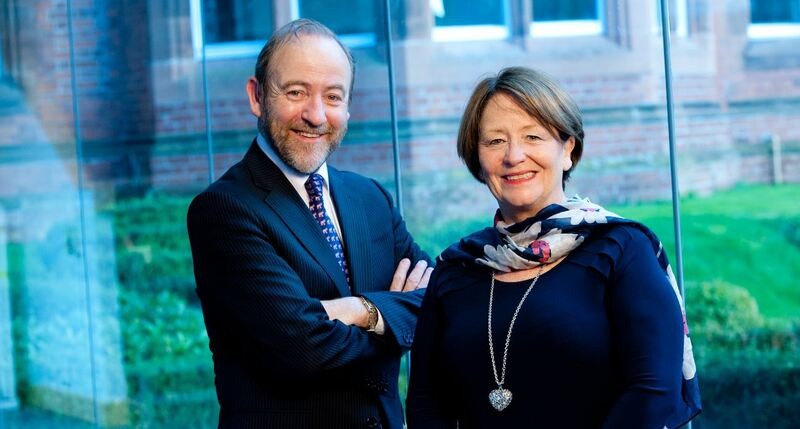 Photo: Thomas Hunter Magowan (left), Chief Executive of InterTradeIreland and Anne Clydesdale (right), Director of the William J Clinton Leadership Institute at Queen’s. Media inquiries to Anne-Marie Clarke or Michelle Cassidy at Queen’s Communications Office on +44 (0)28 9097 5310.